Micah Thevarge, the newly elected chief of the N’Quatqua First Nation, speaks slowly and deliberately as he addresses the group of about 30. 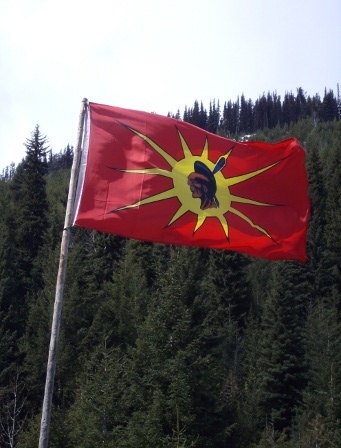 A flag with an eagle crest blows in the wind above a logging road that shows the concave impressions of roofs of ancient pit-houses. Looking up, mountains are scarred from clear-cutting and pine beetle infestations, and the haze of forest fires lies over the horizon. Downward sits a camp of tents and tipis, where Elders visit, laugh and share stories with guests. 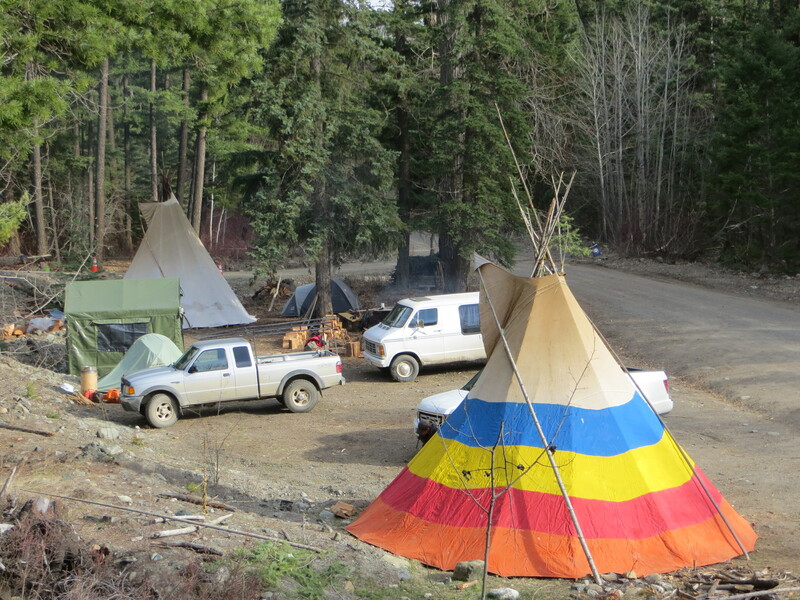 On March 16th Voice for the Voiceless Camp set up to protect Junction Creek area. Today the camp is denying access to Aspen Planers the company who will be trying to start up their logging again in Junction Creek any day now. It is the wish of Xwisten elders, the camp, children of Xwisten among many others that there be no further logging in this area of their territory. Voice for the Voiceless: Standing up for St’át’imc cultural heritage and traditional way of life. 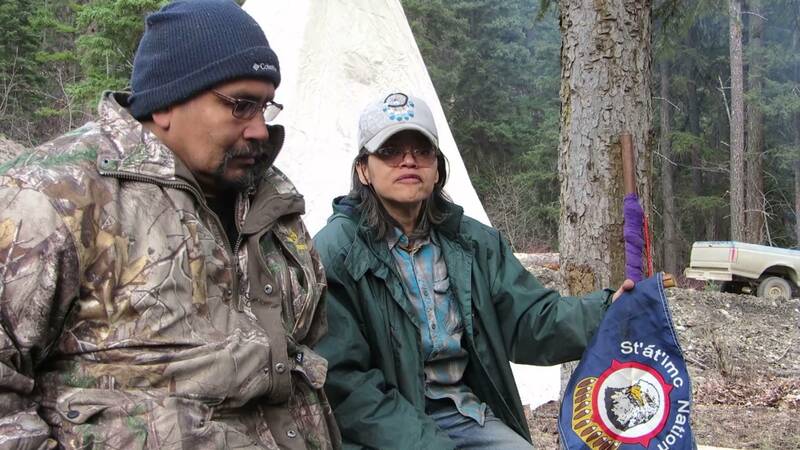 Christine Jack, on right, at Junction Creek, Xwisten Territory in the St’at’imc nation, March 16, 2015. We have heard that Aspen Planers is going to start logging at Lac Le Mer, very near the camp, this week! We think they will be trying to start at Junction Creek too. Christine Jack who has been living at the camp is requesting support. We need more people up there ASAP!!!! Warrior flag flying over Sutikalh.